Two of the last Welsh drovers who used to come to Swanbourne were Rees Rees and his nephew James James. They were friendly with the Tofield family who also bought animals from them. Rees Rees was born in 1855, the son of James (1832-1904) and Jane Rees (1830-1887). 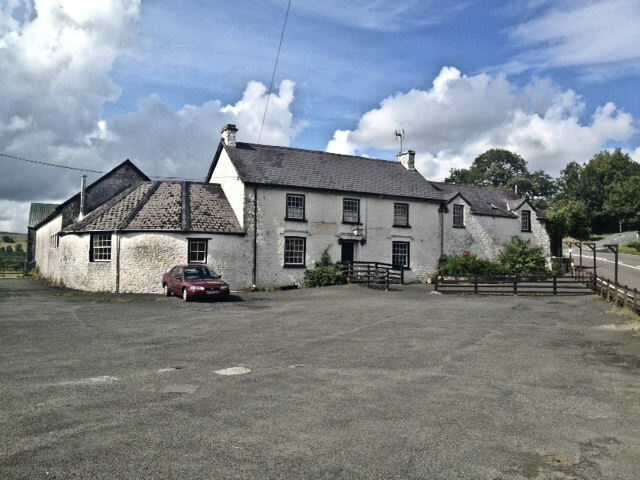 The Rees family came from Talgath Farm in Cynghordy, near Llanfairarybryn near Llandovery in Camarthenshire (see photo of Talgarth Farm). 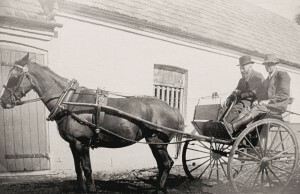 He inherited the farm from his father in 1904. Rees Rees was a drover, farmer and horse dealer. He bought Welsh ponies, horses and sheep from small farms in Wales, and these would be brought up by road to Padbury by Welsh drovers, sometimes including members of his family. They were then grazed, milked and shorn on his lands in Bucks. He ended up with farm land at Claydon, Padbury and Stowe. His droves of Welsh ponies and horses were a feature at Aylesbury and Northampton, and at fairs and markets between Wales and Bucks. For 40 years he regularly visited Barnet Fair in London, and as the horse trade declined became more of a cattle dealer. 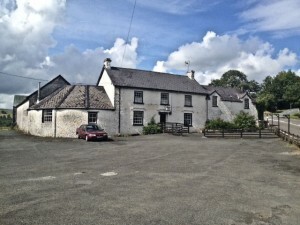 In 1879 Rees Rees and his brother John R. Rees took Pilch Farm at Adstock and had 200 acres of grazing land for animals which they brought from Wales. In around 1886 his brother John and Elizabeth Rees farmed the land at Middle Claydon, and Rees Rees took Manor Farm at Padbury, which he ran as a stock and dairy farm. Rees Rees never married, but he took under his wing his seven year old nephew James James who came to England to live with him, speaking only Welsh. James James was born in 1879. They were looked after by a Welsh housekeeper called Margaret Jones also from Llanfairarybryn and they spoke Welsh at home. Rees Rees’s sister Margaret and her husband David Powell came from Wales and looked after the land near Thornton. They had 12 children, including Margaret Powell (1879-1950) who married her cousin James James (1879-1943). James and Margaret James spoke to each other in Welsh but to their children in English, who grew proud to be Welsh, but speaking in a Bucks accent. Descendants of the James and Powell families still live in the area to this day. Rees Rees was a Christian man, known for his honesty, integrity and straightforward business transactions. 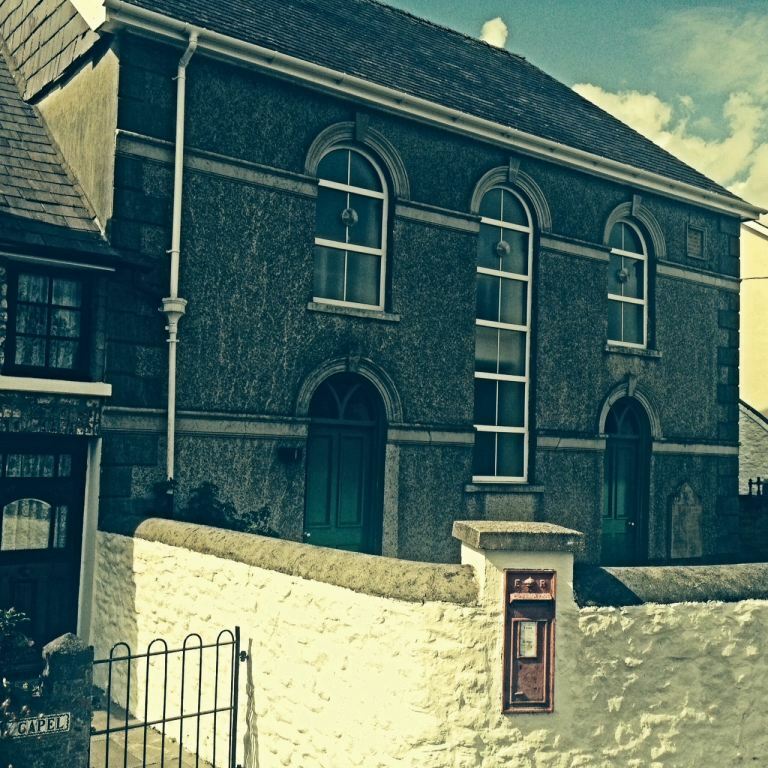 In Wales his family were members of Bethel Independent (Congregational) Chapel in Cynghordy, which has recently been modernised (see photo Bethel Chapel below). 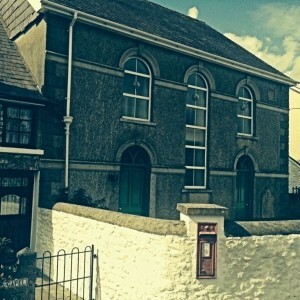 Rees Rees and the James family were stalwart members of Padbury Primitive Methodist Church, and through that had links with the Primitive Methodists in other local villages such as Swanbourne. Rees Rees and James James would sometimes recruit young lads from local farms to help them out, and sometimes take them back to their farm in Wales to help with the animals. Robert Tofield (1895-1990) worked with the horses on Nearton End Farm, and he recalled that the only time he ever left England was as a lad when he left Swanbourne and went to Wales with Rees Rees and James James. 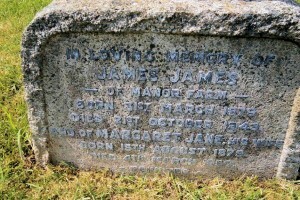 The gravestone of James James, Padbury, Bucks. 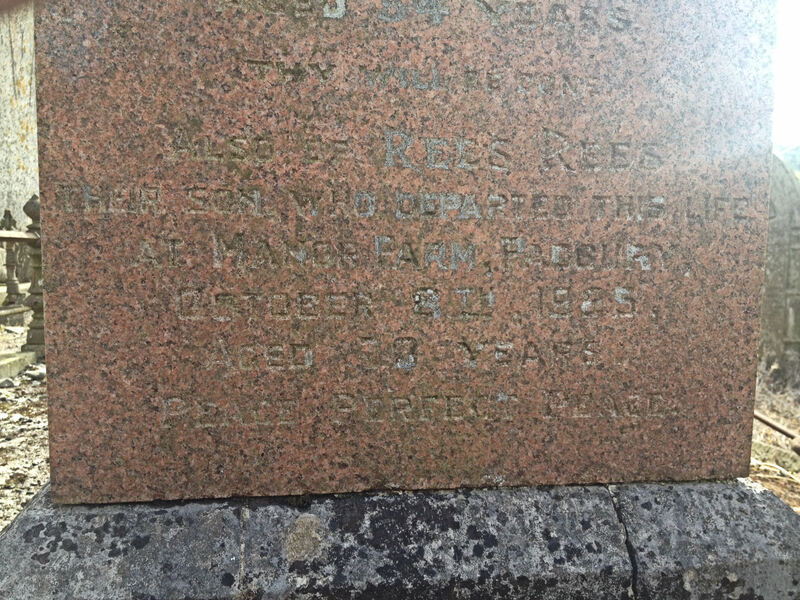 Rees Rees died on 8th October 1925 aged 70 at Manor Farm, Padbury. His obituary appeared in the Bucks Herald and the Bucks Advertiser. He was buried at the family plot at Bethel Independent Chapel, Cynghordy, Llanfairarybryn, near Llandovery, Carmarthenshire. 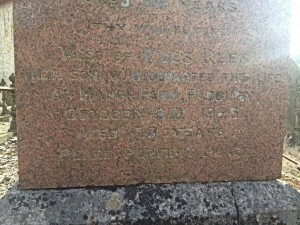 He is buried with his father and the stone reads “Also of Rees Rees their sonwho departed this life at Manor Farm, Padbury on October 8th 1925 aged 70 years. Peace perfect peace”. Rees Rees left his Welsh lands to his sister Esther Harman (1868-1944) and his English lands to his nephew James James. James James continued at Manor Farm in Padbury and died in 1943 aged 64, shortly after a visit to Wales. After his death, his son Rees James took over until his death in 1970, when his son took over. They were the last Welsh drovers in Bucks. Information based on conversations with Robert Tofield (1895-1990), interview with Margaret Crook (1914-2009) daughter of James James, census returns,and Rees Rees’s obituary in the Bucks Herald 17th October 1925 page 7.